As porous materials, stucco and plaster can collect dirt and moisture and easily become breeding grounds for mold growth. Concrobium products are safe to use on both stucco and plaster to effectively eliminate mold spores without discolouring the surface. 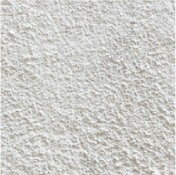 Depending on the amount of area you are treating with Concrobium Mold Control, you can apply the solution on stucco and plaster walls and ceilings by: spray bottle (small targeted areas); brush or roller (trim); pump sprayer (large, accessible areas like walls) or a cold fogger (large, enclosed areas like basement and closets). 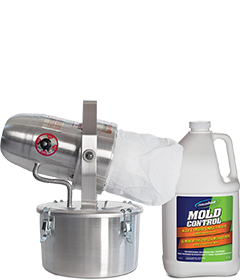 With any option of application, ensure that a thin layer of Concrobium Mold Control is applied to the moldy surface. Allow it to dry and then clean with a Concrobium dampened cloth or brush as required. 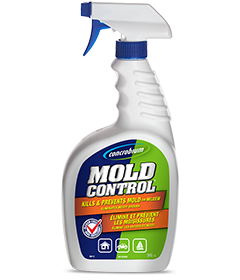 Always remember to reapply the product after cleaning to leave a thin layer of the solution on the surface to protect against future mold growth.